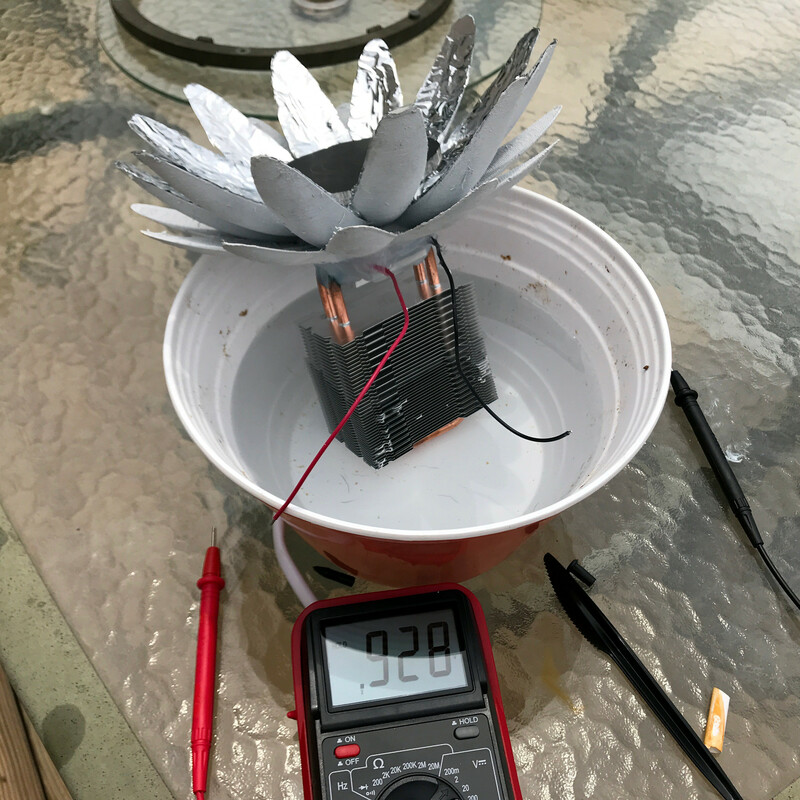 Small proof of concept generating just under one volt in cloudy conditions. What’s interesting about this particular design is that the artistic angle crosses over with functionality. Electrically speaking, the pods have one side of the thermoelectric generator heated by the sun while the other is cooled by being submerged in water, and the temperature differential creates a measurable voltage. [Josh] designed the pods to resemble flowers, with foil petals that help direct sunlight towards the blackened “hot side” of the thermoelectric generator while water takes care of the cool side. Are foil petals the best way to gather and direct sunlight? They are not, but the idea is to have the pods look like something other than the floating hunks of machinery that they are. Since the pods must float in water and be exposed to sunlight, they will as a result have high visibility. [Josh] seems to feel that it’s important that they not be an eyesore. After all, a less efficient generator that doesn’t overstay its welcome still generates more power than one that has figuratively been handed its hat and told to move along.